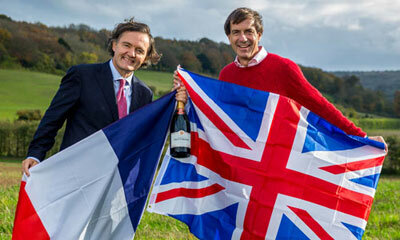 EnglishWine.com is the Website of Stephen Skelton MW, one of the UK's leading Viticultural Consultants and Wine Writers. 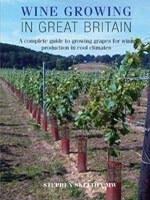 Wine Growing in Great Britain is an A to Z of growing grapes for wine production in the UK and other cool climates. 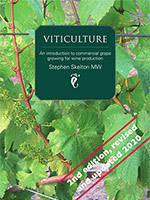 Since 1986 Stephen Skelton has been lecturing on the subject of Viticulture. This book is an expansion of those lectures and introductory guide to the subject. 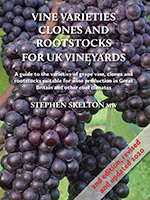 A guide to the varieties of grape vine, clones and rootstocks suitable for wine production in Great Britain and other cool climates. 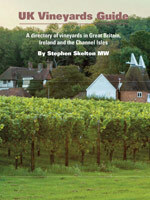 A directory of over 600 vineyards in Great Britain, Ireland and the Channel Islands. Published in March 2016. Launched 9th December 2015. Click here for details.